Basketball may have been invented in Canada, but the game was popularized by the USA, and it is now played in more than a hundred countries around the world. Aside from the USA, the sport is the number one sport in China, Eastern Europe (Latvia, Italy, Turkey, Lithuania), the Philippines, and Argentina. 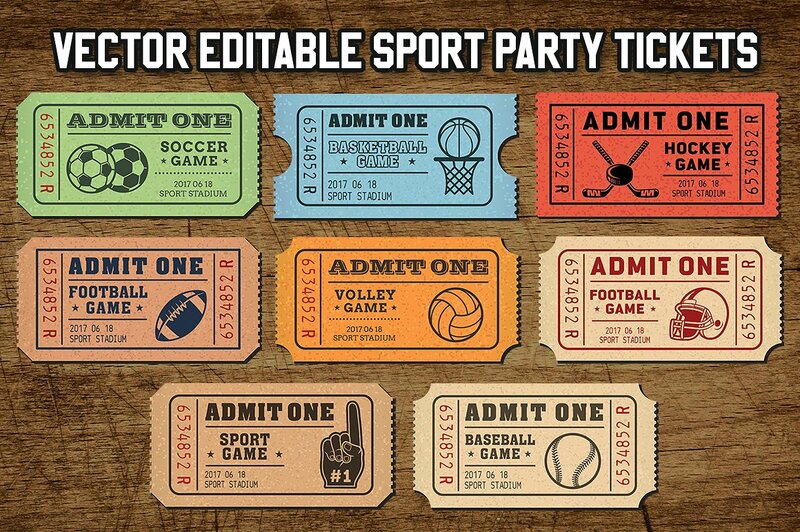 Since basketball is one of the top five sports around the world together with football (soccer), baseball, rugby (American football), and boxing/wrestling, you should use the sport’s design when creating a ticket invitation card. 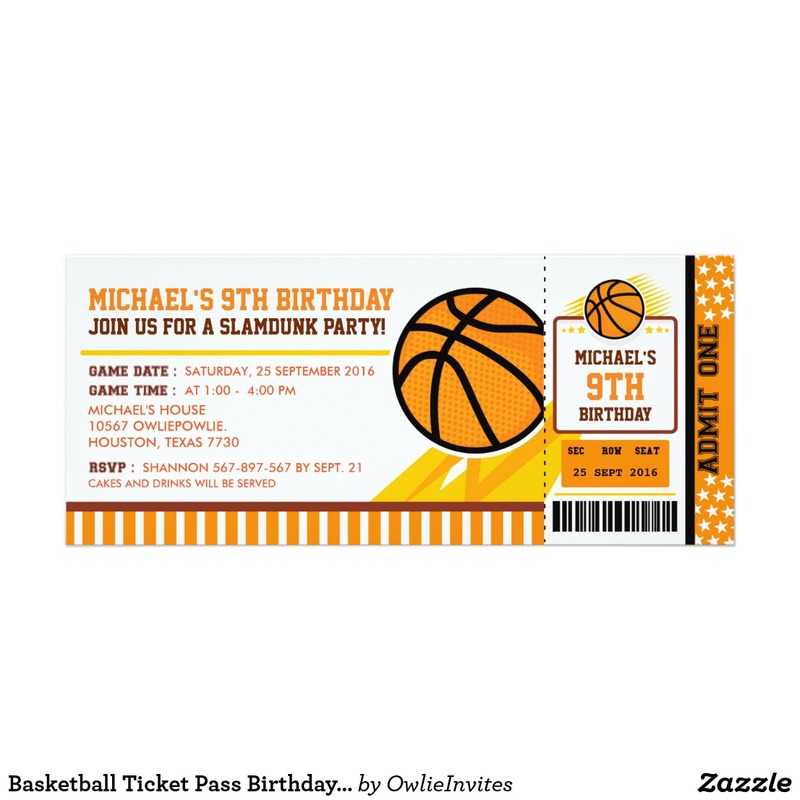 Found below are some basketball ticket invitation designs you can download and use for your special event. 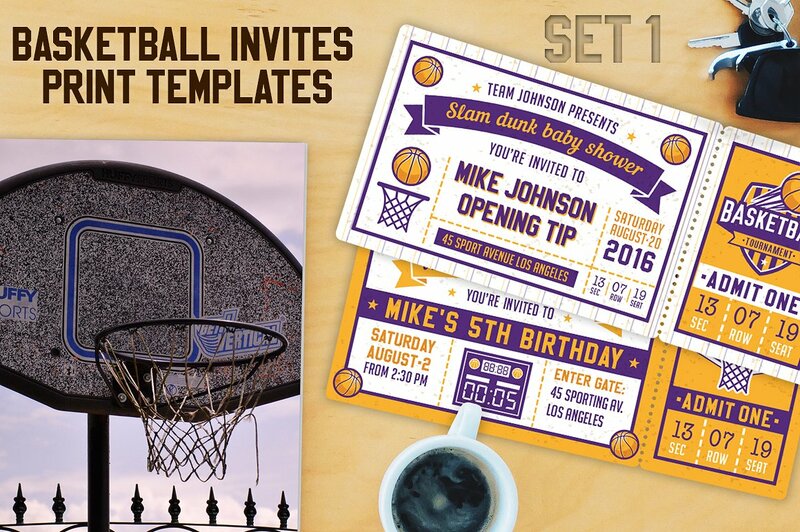 Since you are creating a basketball ticket invitation, focus your theme on basketball-related designs. You can either create or use an image or stock photo of a basketball, basketball ring, basketball court, basketball stadium, or your favorite basketball players. Basketball is not a dull sport. Therefore, your ticket invitation should not be dull as well. 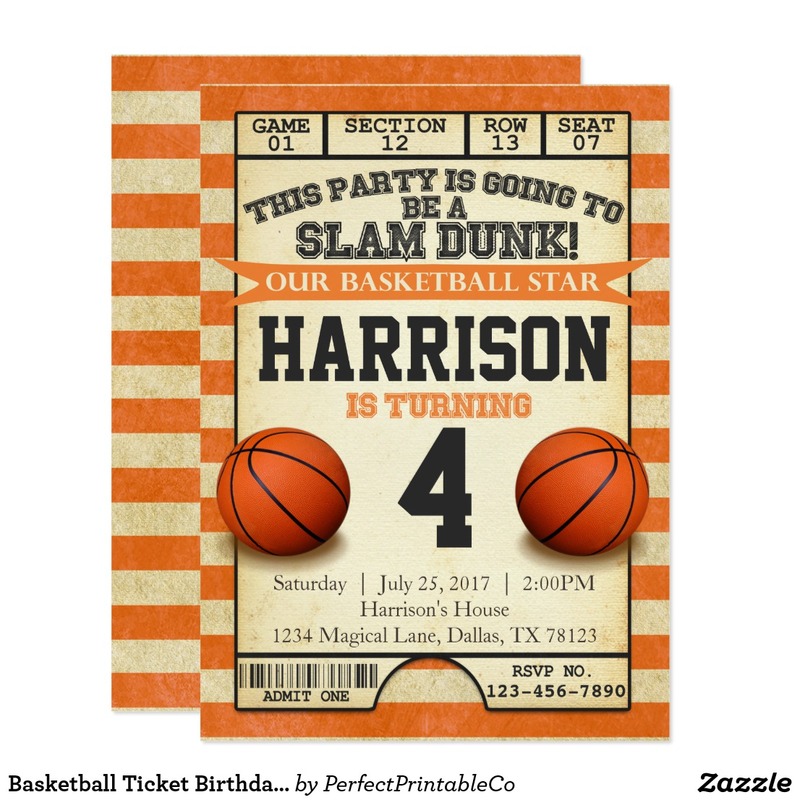 Using bright colors matches perfectly with the basketball design you are going to use. 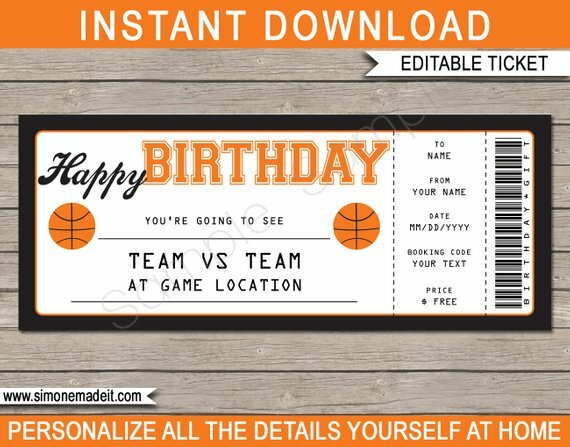 You are not only creating a basketball ticket invitation just for the sake of it. 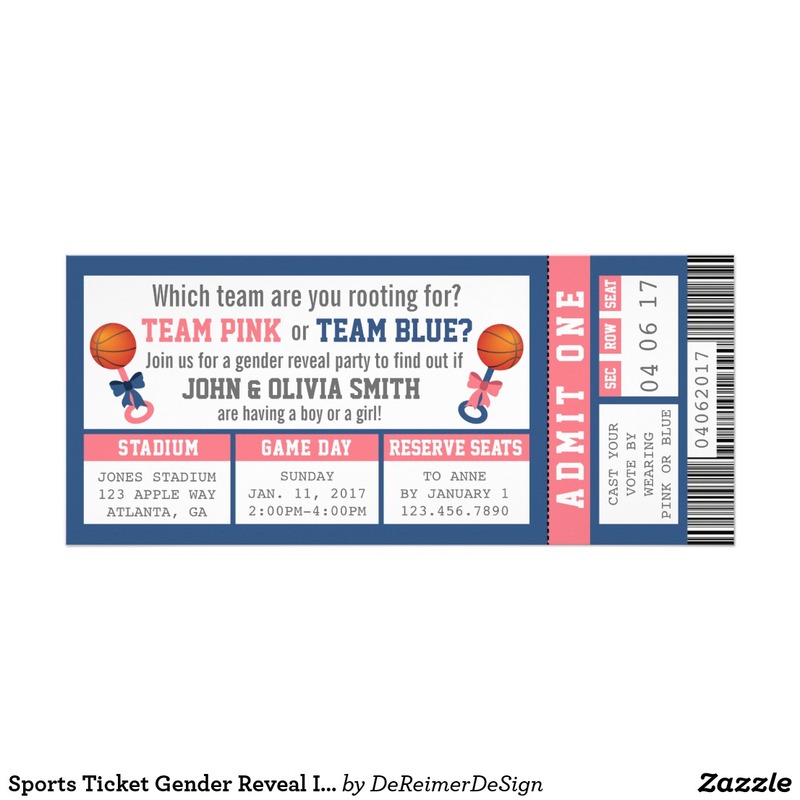 The invitation is meant to be given out to guests, so make sure the event’s details are properly and specifically laid out in the ticket invitation. Basketball was invented in the late 1800s, but the sport did not fully take off until the 1950s. Basketball was still at its infancy stages during this decade. Players did not have any proper shooting form, there was no three-point line, defense was nonexistent, and teams ran very simple plays. It wasn’t that teams didn’t care, it’s just the game was not fully developed yet. Compared to today where players are super athletes who can run for hours straight and literally destroy a basketball ring, times were simpler back then. What only mattered was which team scored more points at the end of the game. Even when the game was still relatively new at this point, the decade already created legends of whom are still recognized today. The ’50s were basically a forward and center league. Taller players scored majority of the points for their respective teams and plays mostly ran through them. The National Basketball Association (NBA) held its first official season in 1949, with the Minneapolis Lakers (now Los Angeles Lakers) winning the first ever NBA championship after the season ended in 1950 with center George Mikan leading the Lakers to the title. Mikan led the Lakers to three more championships until he retired in 1956. Also dubbed as “Mr. Basketball,” Mikan received four first-team All-NBA selection and led the league scoring and rebounding twice. The Most Valuable Player (MVP) award was also introduced in this decade, with eventual nine-time All-Star Bob Pettit winning the inaugural award. He won the MVP again (1959) and led the St. Louis Hawks to the 1958 NBA championship. Nine-time All-Star Dolph Schayes led the Syracuse Nationals to its first and only championship in 1955 before the team was renamed to the Philadelphia 76ers in 1963. Bob Cousy, the revolutionary guard who changed the way point guards played the game, was also influential in the ’50s, but his impact was further elevated when he was paired with another player who revolutionized the center position—Bill Russell. The 1960s is where basketball’s greatest rivalry began. The Los Angeles Lakers and Boston Celtics rivalry officially commenced in 1962 where Russell and Cousy gave the Celtics a game 7 NBA finals victory over the Lakers. The Celtics and Lakers met again in the finals five more times in the ’60s, with the Celtics winning all five matchups. Russell was the most decorated player of the decade, leading the Celtics to a total of eleven championships and won the regular season MVP four times. Russell is also regarded as the best defensive center and one of the best defensive players in the history of basketball. 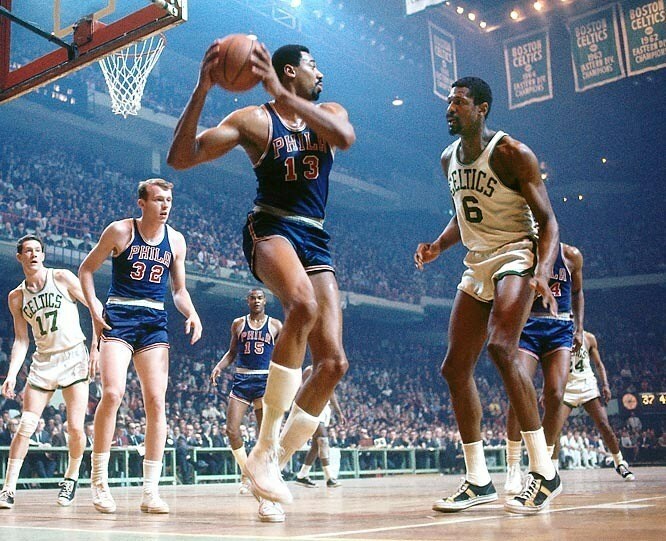 His counterpart meanwhile, Wilt Chamberlain is probably the most dominant offensive center to ever play the game. Chamberlain led the league in field goal percentage seven times and is currently the fifth all-time leading scorer in the NBA. You may have also known that Chamberlain has scored the most points ever in a single game (100 points). Guards started to make a big difference in the 1960s, with Jerry West and Oscar Robertson leading the way. West made nine All-Star Game appearances and six First-Team All-NBA selections while Robertson won MVP three times and was named into the All-Star Game nine times. Both players also won championships with the Lakers. Did you know that the silhouette of West is used in the NBA logo? The basketball landscape was very different in the 1970s. The three-point line was added and the later half of the decade, the Celtics-Lakers rivalry was gone (for the mean time), the American Basketball Association (ABA) was merged with the NBA, and eight different teams won the NBA championship (no repeat winners). “Dr. J” Julius Erving was the most popular import of the ABA. He was already a legend before the merger, having won a title with the New York Nets and finished top 10 in the ABA in points per game, rebounds per game, assists per game, steals per game, and blocks per game. Among the other popular ABA imports included George “The Iceman Gervin” (three-time ABA All-Star) and Billy Cunningham (1973 ABA MVP). The player who scored the most points in NBA history (38,000 points) and also one of the best centers to ever play the game also played in this decade—Kareem Abdul-Jabbar, master of the unstoppable “sky hook.” He is also ranked third all-time in both rebounds and blocked shots, and has won an NBA title with the Milwaukee Bucks before winning five more with the Lakers. The NBA struggled mightily with television ratings during the ’70s. Even the ABA merger that brought in Dr. J and the Iceman still could not attract fans. Additionally, it was also hard to root for a team since a new champion was crowned almost every year. At a marketing stand point, the NBA was losing. Thankfully, the 1980s saw the revival of a rivalry that dominated the league a few decades ago. In 1980, Lakers drafted Earven “Magic” Johnson while the Celtics drafted Larry Bird of whom both already a bitter rivalry in college. Magic and Bird were already the best players in the draft, and they continued to be the best players in the league throughout the decade. Once again, the Lakers and Celtics duked it out in the finals, five times to be exact, with Magic winning the battle three times. The Lakers and Celtics of the ’80s were not Magic and Bird’s team alone. Abdul-Jabbar was still with the purple and gold (which he won five championships with), and James Worthy (7x All-Star, 1988 Finals MVP) also contributed to a total of five championships for the Lakers in the ’80s. Bird meanwhile had a super team of his own—seven-time All-Star Kevin McHale and defensive specialist Robert Parish. The tail end of the ’80s also saw the rise of the “Bad Boys”—the Detroit Pistons. Their rough physical play made them public enemy one in the entire league, led by their enigmatic point guard Isaiah Thomas. The Pistons won back-to-back titles in 1989 and 1990. It’s really not that hard to argue that the 1990s belonged to one man and one team, Michael Jordan and the Chicago Bulls. The Bulls were basically 6 out of 6 in the finals, and if Jordan didn’t partially retire for two years, they would have won those two championships as well. Jordan is simply THE greatest player of all time. Six championships, five regular season MVP awards, six Finals MVP awards, 14-time All-Star; many have tried to beat Jordan, but no one could do it. Jordan was also responsible for making the game a global sport. Even though Magic and Bird’s rivalry was raking in billions in revenues for the NBA, it still could not keep fans in other countries tuned in. When the Bulls were winning consistently throughout the ’90s, every household from wherever which corner in the planet knew who Jordan was, or had his signature shoe (Air Jordan), or had a poster of him hanging in their room walls. When Jordan left in ’94 and ’95, Hakeem Olajuwon and his Houston Rockets won back-to-back titles. But some of the decade’s greats weren’t so lucky. 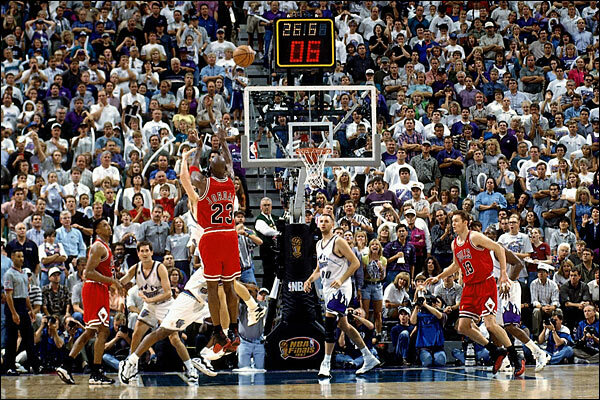 Karl Malone, John Stockton, and the Utah Jazz fell to the Bulls twice (1997 and 1998); Gary Payton’s Seattle Supersonics got beat by the Bulls in 1996; and Charles Barkley’s Phoenix Suns were denied by Jordan in 1993. Clyde Drexler’s Portland Trailblazers got demolished by the Bulls in 1992, but he managed to team up with Olajuwon in Houston to win two titles. When Jordan finally retired after winning his sixth championship in 1998, it left a vacuum in the league. It wasn’t long before a new set of superstars took the mantle and continued to lift the NBA into new heights, both domestically and worldwide. 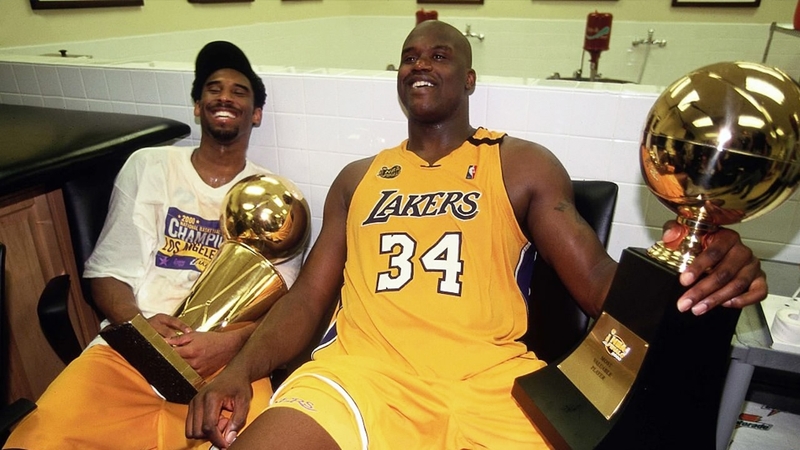 The Lakers returned to their former glory after winning three straight championships from 2000–2002 led by the dynamic duo of Kobe Bryant and Shaquille O’neal. Bryant won two more championships in 2009 and 2010 respectively and is in consideration to be the greatest Laker of all time. One Regular Season MVP, Two Finals MVP trophies, 20 All-Star appearances, and a legendary 81-point game which is the second highest point total in a single only next to Chamberlain’s 100, Bryant is certainly up there in the Lakers’ Mt. Rushmore together with Magic, Jabbar, and Jerry West. The first 10 years of the 2000s weren’t only about the Lakers though. The San Antonio Spurs, led by probably the greatest power forward of all time Tim Duncan, together with Tony Parker and Manu Ginobili won three titles. The most-hyped rookie since Jordan, LeBron James, entered the league in 2004. In a matter of years, he was already considered the best player in the NBA. The 2000s also witnessed the best foreign players to ever set foot in the league—Ginobili (Argentina) and the smooth shooting big man from the Dallas Mavericks, Dirk Nowitzki (Germany). Nowitzki won his only title with the Mavericks in 2010. There are still two more years before the decade ends, so therefore this list will be finished in another time. But so far, a number of players are already headed toward immortality. LeBron continues to be the best player on the planet (three NBA titles, five regular season MVPs, three Finals MVPs), while Stephen Curry and Kevin Durant continue to cement themselves as the two of the most lethal shooters ever to step foot on the hard court. 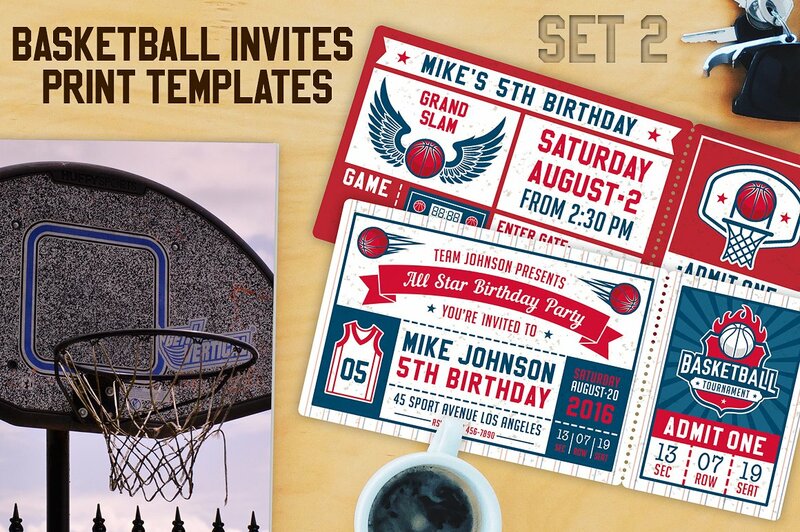 We hope you found this article to be informative as you will be creating your own basketball ticket invitation card.